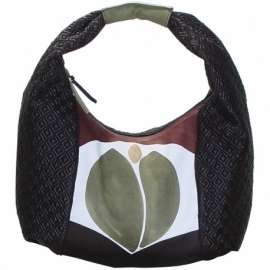 Natural leather and fabric handbag with hand-painted leather insert. 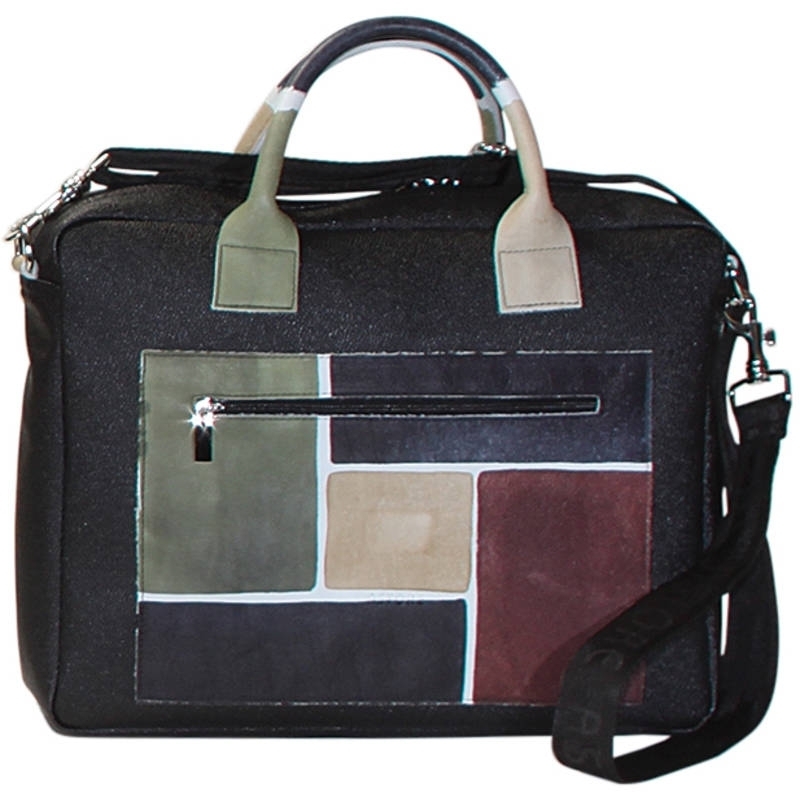 This bag has a shoulder strap, zip fastener and lining inside. 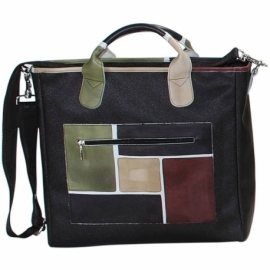 Ideal for free time and casual clothes. 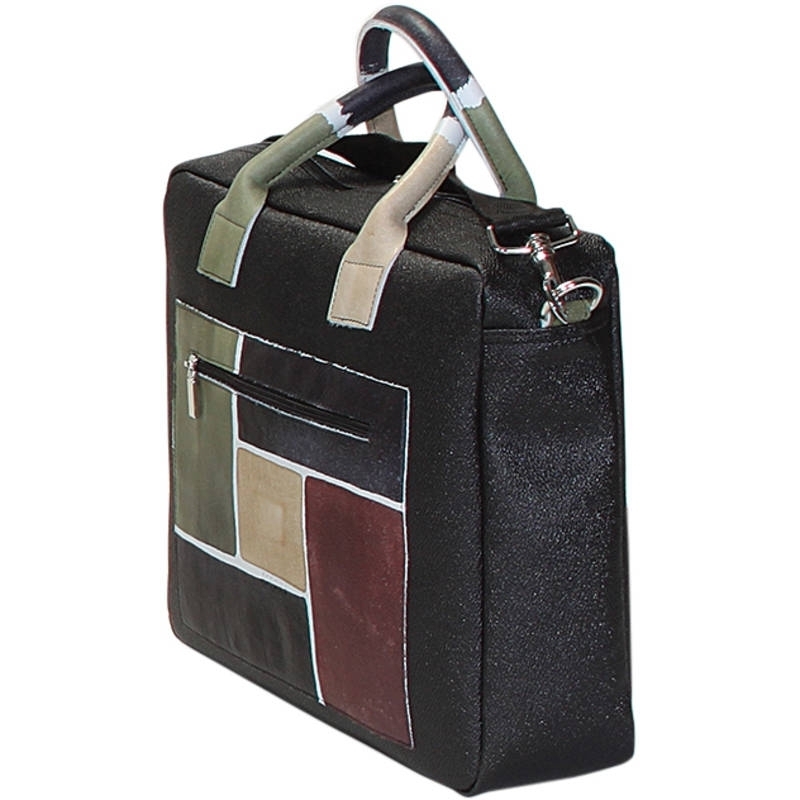 All Travel handbags can be purchased with matching shoes, wallets, belts and other accessories. 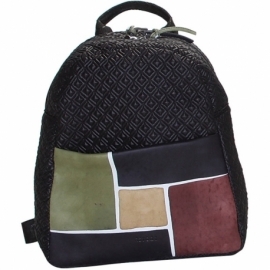 Colors beige, green, black and brown and geometrical pattern.